You need little lawn care during the cold months of winter. This means you must get it right the last chance you have to cut your grass before winter. 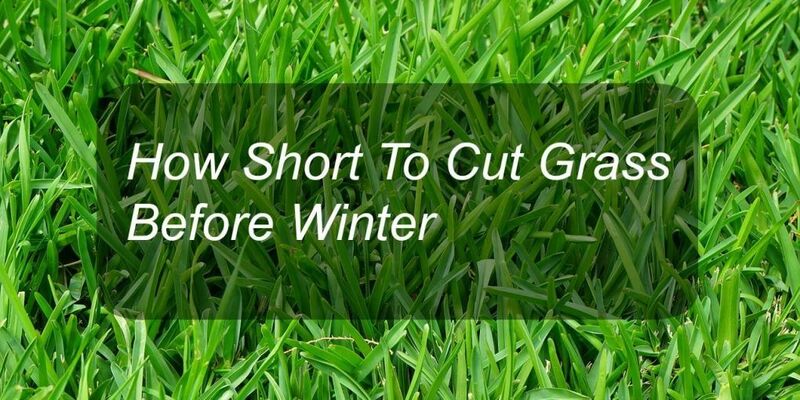 Many people are confused about how short to cut grass before the first freeze. What do the experts have to say? What effects will cutting your grass too short or too long have on your lawn during winter? What is the recommended grass cutting high just before winter? You will learn more while we try to answer these questions. Due to the extreme winter weather, you will have no option but to spend the least amount of time thinking about your lawn. Unless your area of residence is warm all year round, you will have to put away your string trimmer. Preparing your lawn properly can ensure it survives even the harshest winter and guarantees that it will be gorgeous and lush with the rolling of the spring. Experts recommend that you fertilize your lawn early winter or late fall if yours are cool season grasses such as Bermuda and bluegrass. Just before the first freeze, ensure you give your grass thorough fertilizing with a good organic or inorganic fertilizer. This will renew the nutrient content of the soil that was lost during the hot summer months. When winter falls, the fertilizer will stay in the soil to feed your grass root throughout winter. Another important step in preparing your lawn before winter is to clean it off all debris such as dry plant leaves, tree limbs, logs, branches and other objects. Any debris you leave on your lawn during winter will create a dead spot due to the weight of the object. You can also aerate your lawn and make sure people do not walk on the dry dormant grass, which might limit their resilient. The best tool to use to mow your lawn just before winter is commercial weed trimmer or commercial weed eater and lawn mower. This important lawn maintenance tool is lightweight, easy to use, convenient, and produce better results. 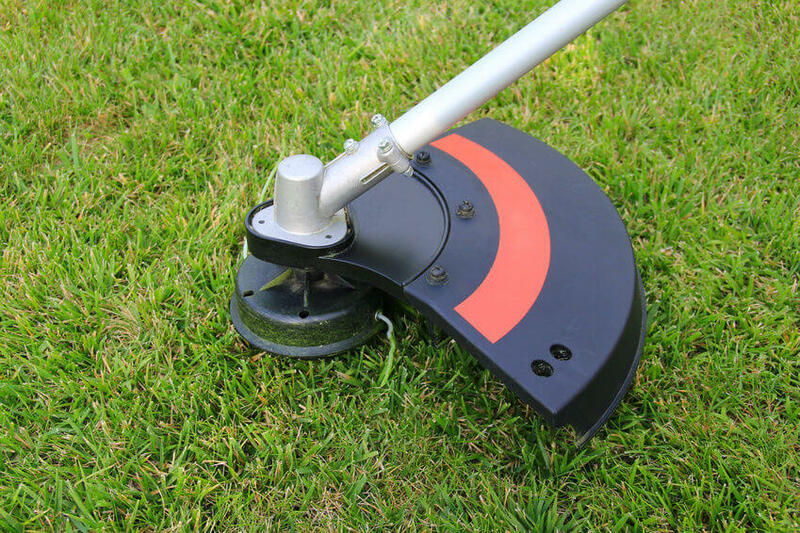 Experts contend that you should progressively lower the cutting base of your string trimmer each time you mow your lawn. Slowly cutting your grass shorter will allow the lawn to winter well without the shock of being cut all off at once. The Proper cutting technique requires that you do not take off more than one-third of the grass blade during a single mowing. People refer to this as the one-third rule. For instance, if you need to take your grass down from 4 inches to 3 inches, you must do it progressively. In other words, it must take a couple of mowing to achieve that height. A good commercial weed trimmer can help you achieve a great mow just before winter. What Is The Proper Cutting Height? There is no agreement as to the exact height you should cut your grass. Different grass species or varieties may require different conditions. However, most people believe that the height of your grass after the last cutting should be averagely 2 inches. Length is ideal for most cool season turfs such as the famous Kentucky bluegrass. The lengths should be shorter (about 1 inch to 2 inches) for Bermuda and bent grass varieties. Having 2-3 inches of greens allows your lawn to optimize its photosynthesis during the harsh winter months and therefore maintain resilience. This height also promotes root growth and boosts stress tolerance ahead of cold winter weather. You do not want your grass any higher than 3 inches after the last cut before winter because such grass has the tendency to compress or mat’ under snowfall. Such matted grass will invite diseases such as the terrible snow mold. At three inches, the grass will still be able to shade the soil from the hot summer sun just before the first freeze. Cutting lower than 2 inches, on the other hand, forces the grass to use more nutrients to accelerate their growth and regain missing height. This will happen at the expense of underground growth, which would otherwise keep weeds at bay. Cutting your grass too short may cause it to go into hibernation much early or may stress your lawn to the point where it starts to die off. You definitely do not want this to happen. If you want your lawn to survive even the harshest winter months then you will ensure you prepare it well before the first freeze. A vital step before you keep that commercial weed eater is to cut your grass to the correct height to allow your lawn to maintain its resilience once springtime comes. Remember to maintain the one-third rule at all times.